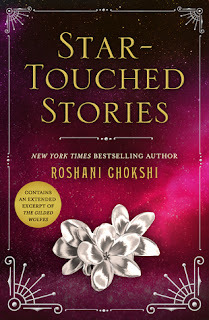 I won't write specific comments for each novella, as I suspect I'll be saying much the same for all three- they all have the absolutely gorgeous writing that Chokshi is known for, and are well rounded novellas that give us more glimpses of the world she has developed. As always, Roshani Chokshi's writing is the highlight of her books. I had read Death and Night already, when it was released, and I still think that it's my favourite of the three. Reading the novellas just makes me want to go back and read the other books in the series, which I would say is what any good novella should make you want to do. I would highly recommend reading both The Star-Touched Queen and A Crown of Wishes before getting started on these stories, because there are some things that may be spoiled somewhat by the novellas. I definitely feel that this collection is for people who are already familiar with the books and want more information about their beloved characters.